One of the most popular game on Android Platform Temple Run 2 is about to release in market, but its fake version has already made into Google plays market. Temple Run 2 has already been launched in New Zealand, and it will be made available to the rest of the world very soon. The game has been updated with new gameplay features and storylines. The landscape is more diverse, and gameplay has been made more exciting by adding new obstacles and traps. Temple Run has become popular on both Apple’s App Store and Google Play Store, garnering a million downloads on its first three days alone after its launch on Google Play, and a total of 100 million downloads in its first year. So this made the attackers to use Temple Run for attacking different users. The Temple Run 2 will be in the form of a wallpaper or just a virus.The suspicion crept in mainly due to the absence of its developers name and also because the game icon is hard to spot. In fact, as you open the game, it asks the user to give it a five star rating and has identical wallpapers like the real Temple Run 2 that was launched by Imangi on iOS. 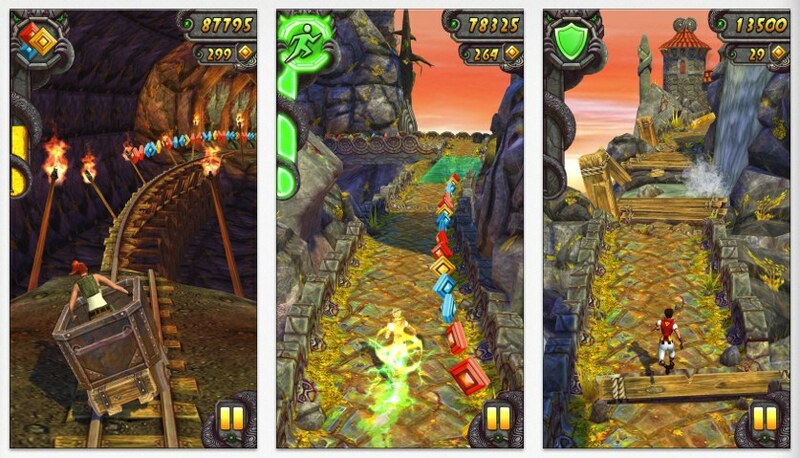 The real Temple Run 2 is set to be launched by Imangi on Google Play on 24 January. Meanwhile, the supposedly fake Temple Run 2 that has been downloaded by many is actually a wallpaper and if you enter the app it downloads something on to the phone. Though I do not know what exactly it downloads, I advise my readers to stay away from installing it on their devices. one should download an app after reading full permissions and after checking it thoroughly. "Attention! This Application has only wallpaper.! And has GAME application," the developer says on the app page of the game on Google Play Store. One must wait for the game to be officially made available on Google Play by the developer and I will keep you updated on the same.